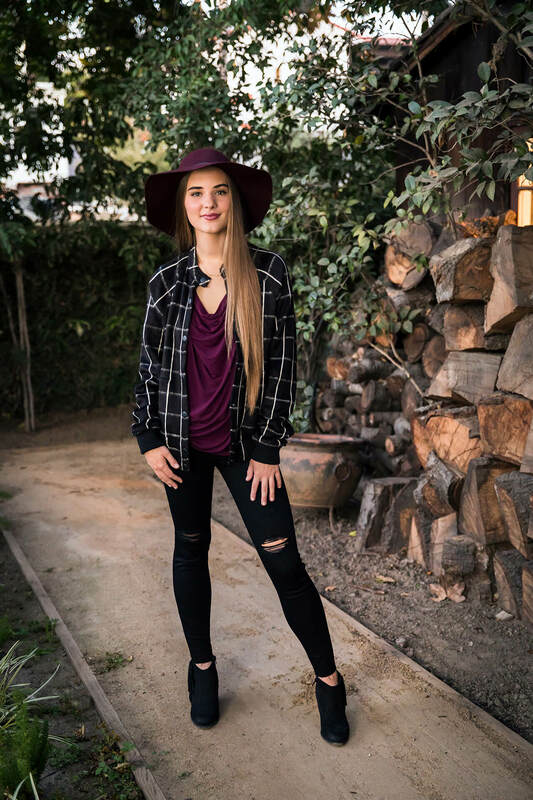 A historic home on Forman Avenue once owned by Bing Crosby provides the perfect backdrop for our favorite cool-weather looks from Rose & Sage boutique. Modeled by local talent, these enchanting ensembles utilize the creative power of layering, from faux fur and a touch of glitter for holiday parties to pattern mixing with an eye-catching scarf for everyday chic. Located on Riverside Drive between Forman and Talofa avenues, Rose & Sage was opened in 2013 by young entrepreneur Soraya Ardakani. The store features handpicked accessories, shoes and clothes from global and local designers in a variety of price points. With its vintage furnishings and fixtures, creative merchandise displays and light, spacious interior, the store offers a comfortable shopping environment with an emphasis on personalized service.